available online from Royale Resin's website. Paypal and Money Orders accepted. Whilst the United States based Royale Resin is a small husband and wife team. 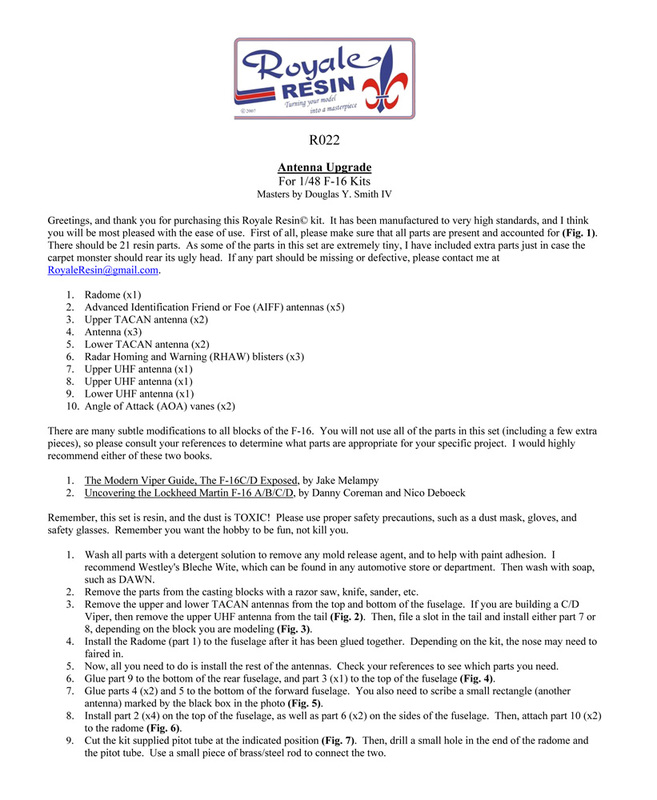 The company has certainly made a mark in the resin aftermarket accessory world. 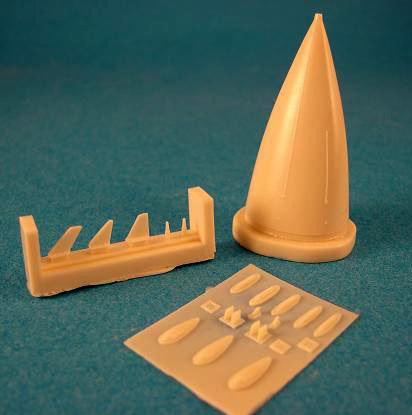 They produce excellent quality resin upgrades, conversions and accessories for 1/48 scale model aircraft. I was impressed by their weighted wheel sets for both their accuracy, crispness of detail and for the fact that their quality control was first rate having previously received eight of their products and not being able to find a single miss-cast or bubble on any of them. 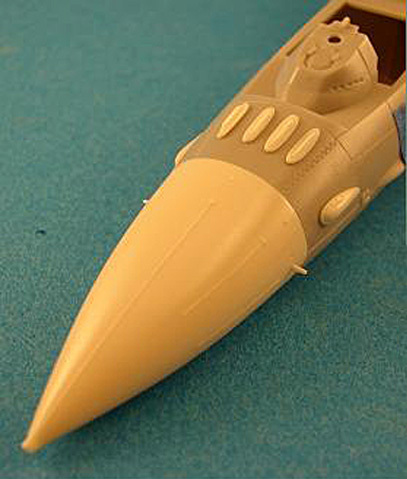 I recently received their R022 Antenna Upgrade for 1/48 scale F-16 kits and I am happy to say that the quality is as equally as good as their wheel sets. A beautifully cast radome that subtly incorporates the strengthening strips evident on the one-to-one-scale F-16s. 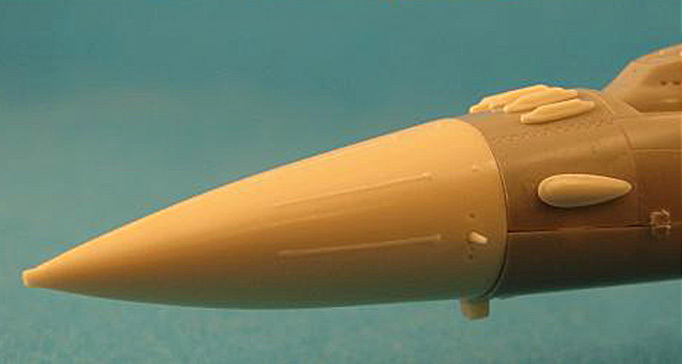 The information on Royale Resin’s website advises that the radome was designed with the Hasegawa kit in mind, but that it can be made to fit any kit with slight modification. 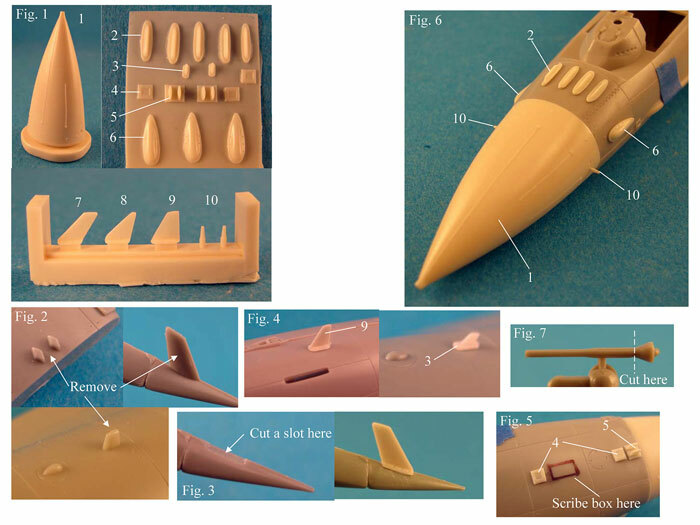 The set includes comprehensive instructions on how to prepare the parts for use as well as how to attach them to your model. 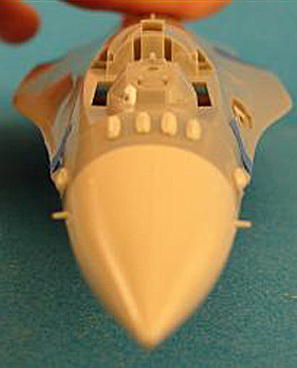 The written instructions are keyed to full colour images of the parts attached to a model to not only show you where they should be placed but to also identify each part. This is an excellent product indeed. 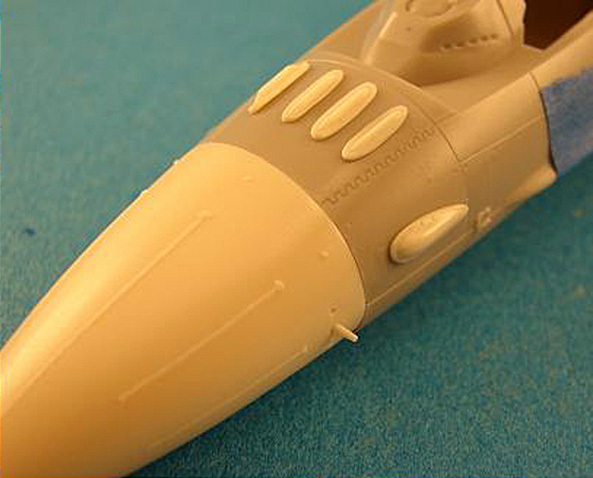 It will enable you to ‘update’ the older Hasegawa kits in your stash to present-day F-16 specs with a an absolute minimum of fuss.